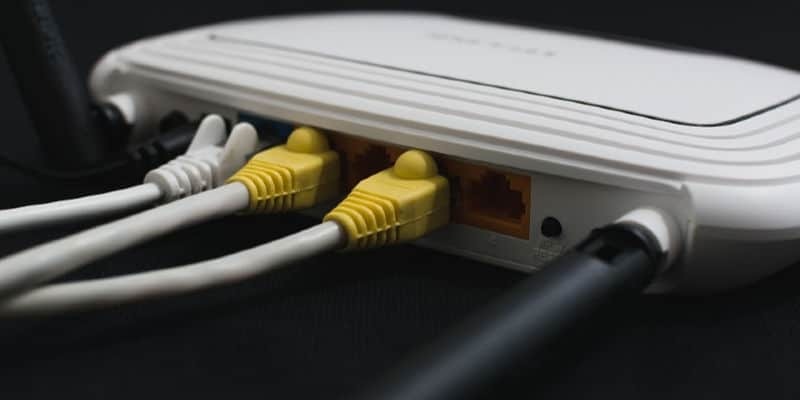 In this article, I explain more on what to think about when getting a router and I also recommend some that I personally believe in and think are good choices. It’s time to get a new WiFi at home, make it right by knowing which router to buy. What are You Doing with Your Network? The very first question you need to ask yourself before getting a new router is: what will it be used for? If you start to think about what you are doing at home, it can be quite a lot. Maybe you have a kid that is playing online games while you stream a tv show or watch Netflix? If you are going to play online games and watch Netflix at the same time, you can’t go with any router. Many cheaper routers simply do not have the hardware to offer multiple high-bandwidth streams at the same time. What will happen is that Netflix will buffer, and the game will lag. How many are streaming at home at the same time? You must also decide if you want to go wireless off if you are ready to have some wiring in your home. 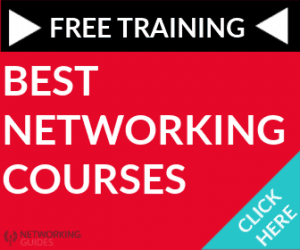 A fully wireless network often requires more from the router than just wires. This will also depend on how big your house is. If you live in a big house and your router needs to send out strong signals very far, you will need a more expensive router. Another thing that may take away from normal use is smart devices. I have a few Philips Hue, like this kit from Amazon, at home, and if you do as well, or any other smart home device, that will also consume some wireless bandwidth. What I suggest that you do, is that you list everything that your family is doing in their spare time. The more people, the better the router has to be. Devices are quickly adding up and you would be amazed at how many connections that you actually have at home. To give you a reference, we are two people living under the same roof with 17 devices connected to the router. 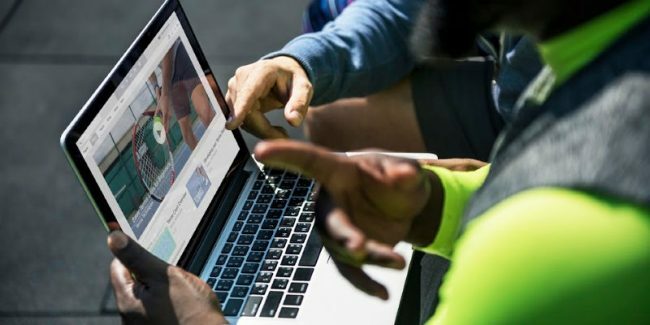 When you know how much your household is using the internet and what it is using it for, it’s time to start looking for a router. Here, there are some things that you want to make sure that your new router has, so you don’t get old techniques that will give a bad experience. Make sure that the router supports the AC-standard. When talking about WiFi, there are multiple standards and technologies that are being mentioned. You might have seen manufacturers showing off routers that support ac,g,n or similar. These are standards for WiFi. The current one to look for is ac and if you get a router that supports ac, you will be good for the future. AC can also be called WiFi 5 since the WiFi Alliance made changes to the naming schemes. When it comes to ports on the back of the router, most routers have four ports and I’ll suggest that if you want more, you should purchase a switch, like this Netgear GS105 from Amazon, instead of purchasing a router with more ports. It might be a neater solution, but it will cost a lot more money. A bonus that may not be a requirement but is good to have is USB. With USB on a router, you can connect a printer and print from any of the devices in the network without having to connect directly to the printer with a cable. It is also possible to use an external hard drive as a network storage for easier file sharing between devices in your home with USB. When you have purchased a new router, it’s important to place it in a good place. The best place for a router to be is in a central location of the area it will cover. The best way to find this spot is to place the router in a place and try it out for a day or two, and then move it to a new spot. Now, this isn’t very practical as the cable that goes to the router often can’t be moved very easily. I, for example, have this cable routed in the ceiling and behind skirting boards to get it where I want it. The worst place you can put it in is in a corner of the house. A router is sending signals all around it, so placing it in a corner or next to an outer wall means that you essentially lose half, or even more, of the signals that the router can project. Try to find a central spot, and the router will perform much better than it would otherwise. 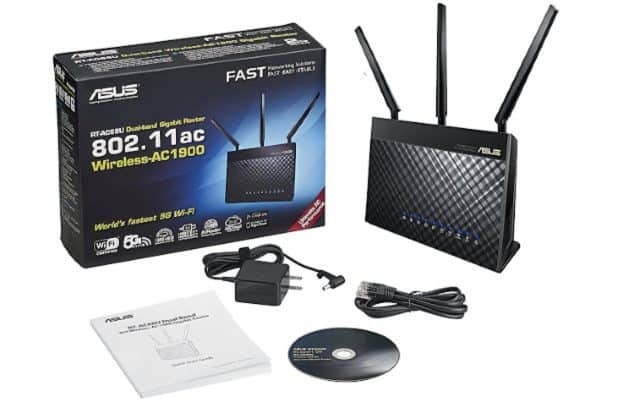 I own the Asus RT-AC68U myself and I am very happy with the performance of this router and something I can highly recommend. It provides me with fast WiFi in my whole apartment. As a reference, the apartment is about 900ft² and I have full 5GHz (the faster frequency) coverage everywhere. As mentioned before, I have quite a few devices in my home and the AC68U can handle it without any problems. My main computer is a laptop that is always connected to the wireless network, I don’t even bother with cable because there is no need to. It has 2 USB-ports where one is USB 3.0, so you can connect o both a printer and an external hard drive. Asus also has an app for phones that you can use to set up the router and control it further if you don’t want to bother with the web interface. What I really like about Asus, and the reason why I almost always recommend them is their software. Asus has made it easy to be advanced with their software, while still making it easy for the non-technical to set it up and leave it be. It’s a router that will be good enough for most people, so if you are simply looking for a router that is futureproofed, this is a good choice. You can check out the Asus RT-AC68U on Amazon. A friend of mine got the Google Mesh System a while ago and of course, I came home to him to try it out. Is it really as good as Google says? The short answer is: Yes, it is. This system is great if you are living a modern life with just a laptop and your phone. Maybe there is no need for cables and if so, there’s no point having them at all. With a mesh system, you connect one node to the wall via cable and then place the other ones around the house and they will connect wirelessly together. The good thing with this system is that you can place a node where you have a bad connection and you can also purchase more nodes to easily expand. The reason I am recommending the Google Mesh is because I’ve tested it and seen how good it is. Want to know more. About mesh? Check out my article about how a mesh system works here. You install it via an app and this app also have other features if you are interested in numbers on your up- and downstream. I can highly recommend that you check out this system if you are ready to let cables go because it’s awesome. You can find the Google Mesh System on Amazon. I was in an electronics store recently and saw this beast of a machine, the Asus RT-AX88U. 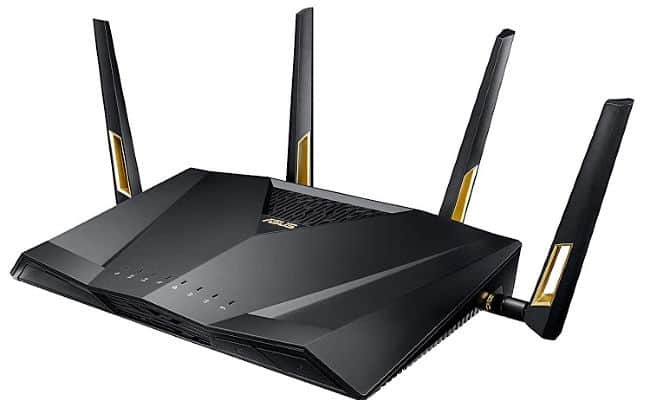 This router supports the latest wireless standard AX, or WiFi 6, as it’s also called. This is one of the first routers to support this latest technology and it looks awesome. The latest AX-standard offer much higher speeds than the old AC. AX has been designed with IoT in mind and is ready to have the whole smart home connected without losing performance. The data encoding is also more efficient, making AX able to send more data than AC (WiFi 5) with the same data waves. I have not tested the performance of this router, but it is one of the first to support this new technology and if you are looking for the best of the best, this is probably it. But don’t worry about buying an older router, AC will still be around for many years before it goes out of commission. By then, you have probably bought new laptops and tables that support AX anyway. You can find the Asus RT-AX88U here on Amazon. I have never found it very hard to purchase a new router since I am into these kind of things (yeah, nerd, I know) but I know that many aren’t. I wanted to give my views on what to think about when getting a new router and now I have. The most important part of getting a new router is to determine what you and your family is doing with your network. If you don’t know that when you purchase a router, there’s a high chance that you will look more at the price and then have a bad wireless experience. Check the usage first.